The Zombie Gnomes: Bye Bye Birdy is a garden sculpture that pictures sickly zombie gnomes feasting on a poor innocent lawn flamingo. 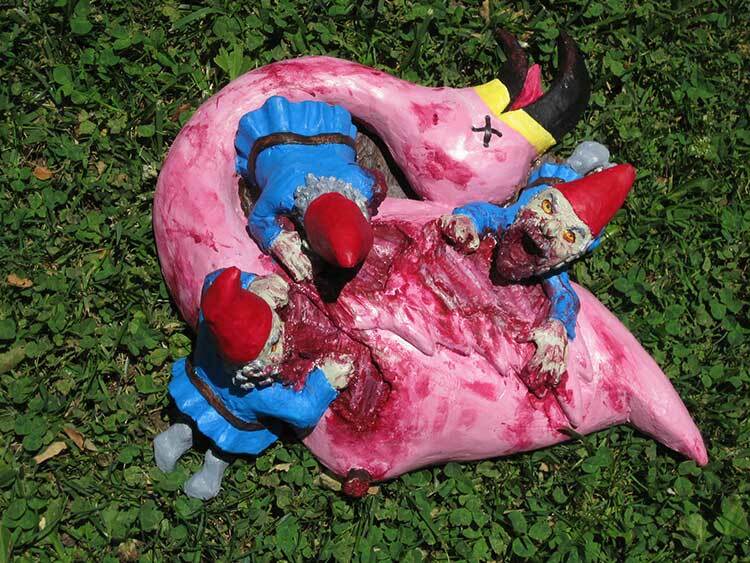 Recently garden gnomes have taken a turn for the worse, as one gnome was seen pooping in the garden, the once pure, upstanding garden gnomes we once knew that would guard your garden from unwanted critters, and thieves are apparently gone forever. 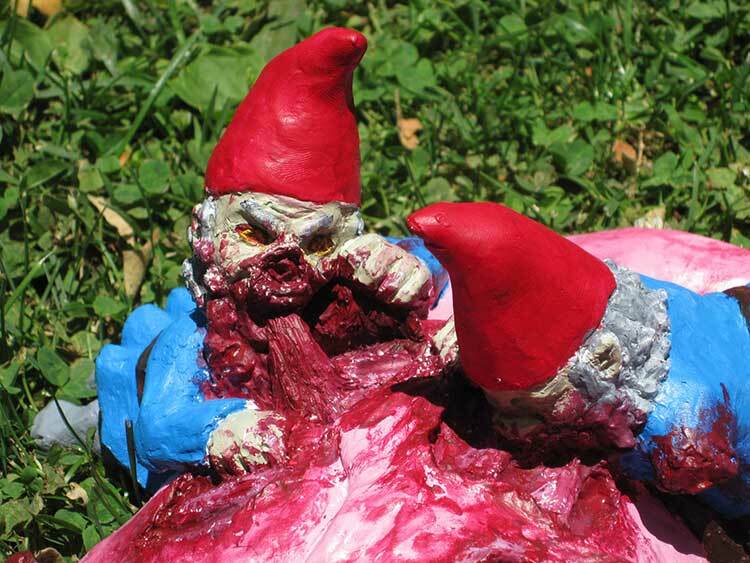 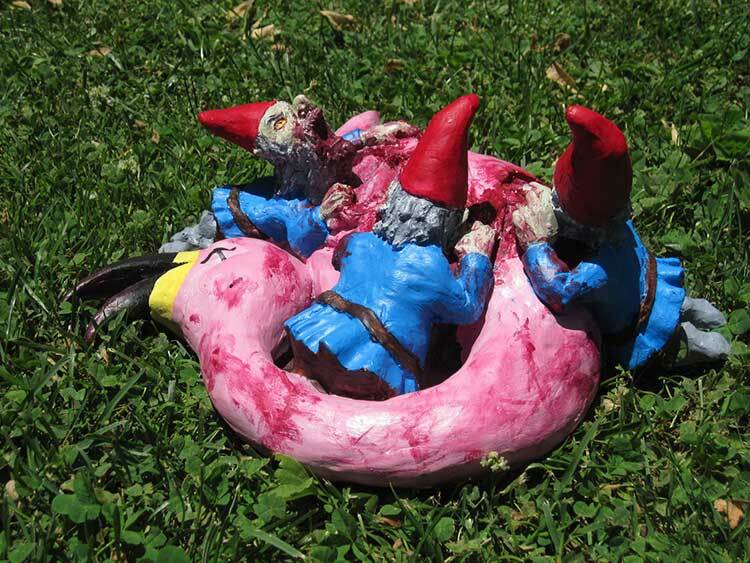 The zombie garden gnomes would be a great addition to your otherwise dead, and unkept lawn, and would let your neighbor with the lawn flamingo in his yard know whats up. 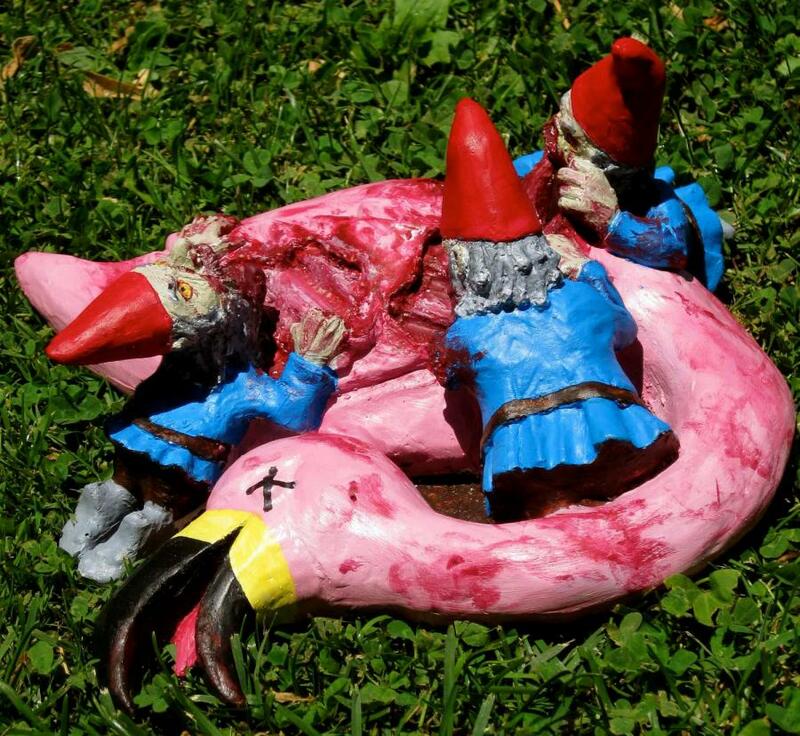 The garden gnomes eating a flamingo sculpture is handmade from concrete, sealer, hydrostone, and paint, measures 12 inches x 10 inches and weighs 3 pounds.